Autumn is a wonderful time to ride the Ohio & Erie Canal Towpath Trail with your family – cool temperatures, fewer crowds, and beautifully-colored autumn leaves in the Cuyahoga Valley National Park. However, your family may include a cranky 'tween who begrudges any bike ride longer than a quick trip to a friend’s house. Tracey Bradnan has one of those. 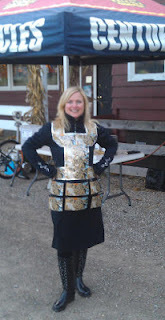 When she’s not doing Century Cycles’ marketing and events (and modeling her beer armor to get ready for this weekend's "All Hail the Ale!" Night Ride), she’s figuring out ways to get her 12-year-old bookworm on a bike. One of her solutions is this edition of Where We Ride (and probably the simplest ride we’ve ever featured). Since Tracey lives in a Cleveland suburb, she starts from the north, but other families could start from the south – park at the Botzum Trailhead parking lot off Riverview Road and ride north to Peninsula (with Szalay’s Farm Market a nice stop-over in-between). This is also about 6-7 miles one-way. 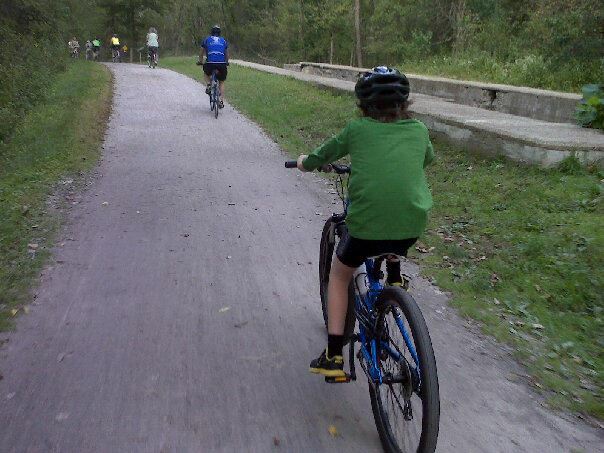 What’s your family’s favorite Towpath ride? Email us at info@centurycycles.com with the subject line “Our favorite Towpath ride” and we’ll feature them in an upcoming article.